At Halloween, thrills, chills and scares are all part of the fun. But when patients are frightened of going to the dentist, it's no laughing matter. Between 9 percent and 20 percent of Americans avoid going to the dentist because of anxiety or fear, WebMD reports. 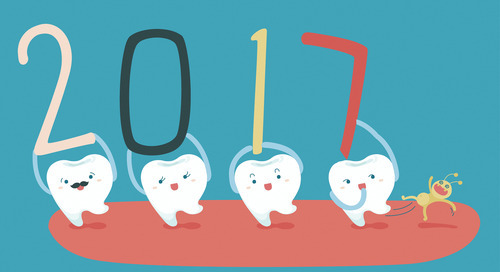 Fear of the dentist often keeps patients from getting routine dental care, which leads to more serious dental problems. When these patients finally see a dentist, their teeth are often in such a bad state that they require lengthy procedures — making their fears even worse. 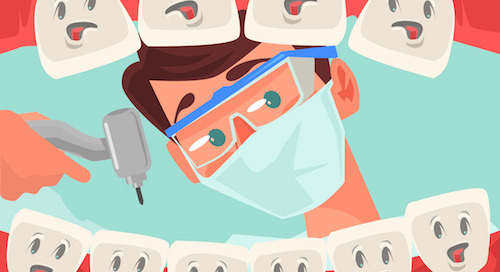 How can you help your patients get over their fear of the dentist? Follow these steps. Don't make assumptions. Don’t assume all patients are comfortable going to the dentist. At your first visit with a new patient, meet them in your office (not in the treatment chair) and discuss their previous dental history. Have they had any unpleasant or painful experiences? Are there certain procedures they particularly dislike? Personalize treatment. After your initial meeting, record the patient’s preferences and note whether this patient needs extra time for procedures in order to feel comfortable. Even patients who don't have dental phobias will appreciate your adjusting treatments to their preferences. For example, one friend of mine hates having her teeth polished, so her dentist always skips this step. Give the patient some control. Many people hate being trapped in a dentist chair with no control over what happens. Give patients ways to communicate with you during procedures (such as raising a hand when they need to take a break). Putting the patient in charge of even small decisions can go a long way towards easing their anxiety. For example, if a patient has fears about choking or gagging, can you let them hold the suction wand? Explain procedures and get approval. 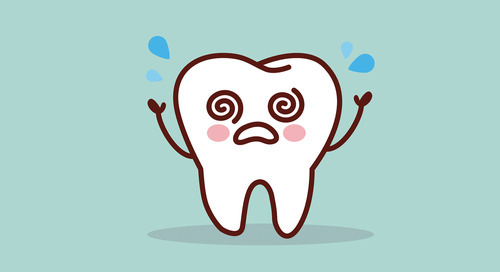 There is no detail too small to explain to a patient who's nervous about dental treatment. Knowing exactly what will happen and what to expect greatly reduces their fear of the unknown. For example, if you're going to give the patient an anesthetic, explain what they will feel, why you're doing it and what will happen. Get agreement from the patient before proceeding with each step of the process. Be patient and persistent. It’s common for fearful patients to miss or cancel one or more appointments before they actually come in for treatment. Lighthouse 360’s follow-up feature makes it easy to keep track of patients that haven’t replied to their appointment reminders. Your front desk staff can text or call patients directly from the follow-up list to check in personally and find out what’s going on. If a nervous patient cancels at the last minute, the Fill-In feature from Lighthouse 360 makes it easy for you to fill the slot, so you don't waste an appointment. Create a soothing environment. 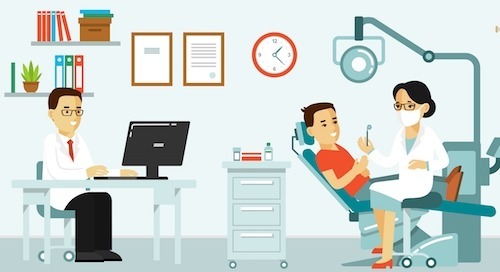 Are your treatment areas lined with graphic posters of gum disease? Does your reception area play videos of dental treatments? Such images can exacerbate the fears of dental-phobic patients. 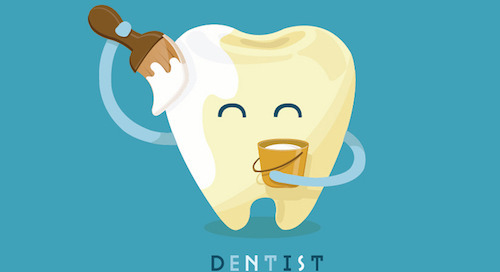 Instead, decorate your office with images of white teeth and happy smiles to show the results of regular dental care. 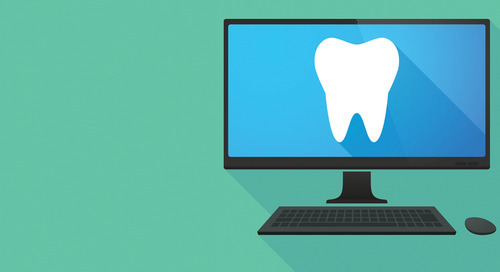 If you do need to explain graphic details of a treatment or the long-term risks of gingivitis, pull up a photo on your computer to show the patient. Provide comforts and distractions. Blankets, headsets with soothing playlists, a TV at the treatment chair so patients can choose what to watch — all of these help distract patients from their fears of visiting the dentist. Use the buddy system. Encourage nervous patients to have a friend or family member accompany them to the appointment. If your office space permits, you can even let the buddy sit in the treatment area during procedures to help keep the patient calm. Take advantage of modern pain management methods. Many patients have dental fears left over from painful experiences decades ago, or horror stories told by older generations. Educate patients about the pain management techniques you have at your disposal. For example, can you use topical rinses or tooth desensitizing agents in addition to or instead of injecting anesthetics? For patients need lengthy procedures, oral sedation can be an option if your staff is properly trained. Promote your range of pain management options on your practice’s website. Respond to negative reviews. Fearful patients looking for a dentist take online reviews very seriously. Respond right away to any critical reviews—especially those that might elicit fear, like someone complaining about pain or how long a procedure took. 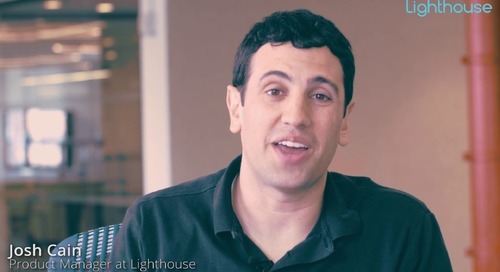 Lighthouse 360 automatically collects and posts positive reviews to top review sites, like Google and Yelp, to help your practice maintain a good reputation. 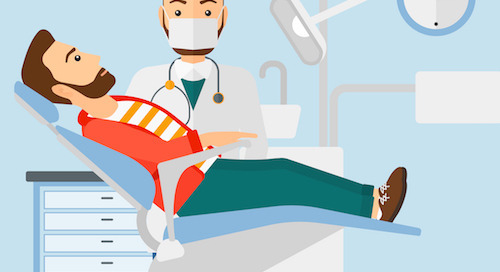 By following these 10 steps, you'll help reduce your patients' fear of visiting the dentist. Who knows? Specializing in treating anxious patients may even become a differentiator for your practice. 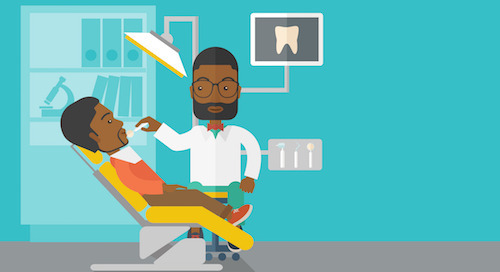 Millennial dental patients can be a profitable market--if you can get them into your office. These tips and Lighthouse(R) 360 will help you market to millennials. Your patients' tax refunds can be a big bonus for your dental practice. Here's how to use patient communications and payment options to encourage case acceptance. Boost case acceptance - and increase your dental practice's income - with these suggestions for using treatment plan reminders. Cosmetic dentistry is on the rise. Is your dental practice ready to capture your share of these profitable treatments? Educating your patients about dental treatments is key to case acceptance. Here are 6 ways to persuade patients of the importance of recommended treatments. 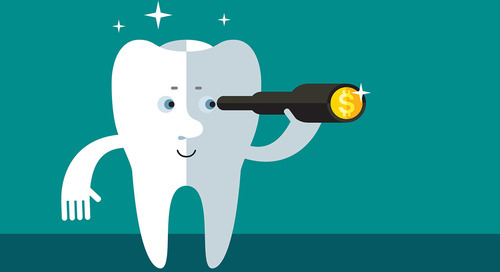 How can you boost case acceptance in your dental practice? 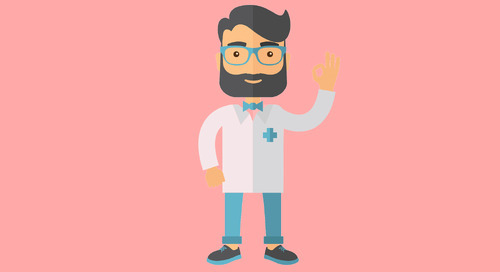 These four tried-and-true tactics will help you persuade patients to complete their treatments. 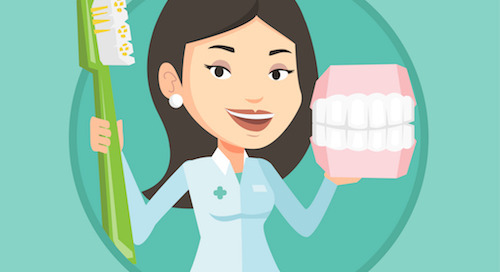 Can You Pass This Practice Management Quiz for Dentists? Attention dentists: Are you setting your team up for success, or allowing your front office staff to struggle? Take this 5-question quiz to find out just how effective you are at leading your team. Practice Automation: Is Your Current Software Working Hard Enough for You? Want to learn the simple techniques behind automating your practice management software and lighten your workload? Patient Reactivation: Are You a File Cabinet Millionaire? Discover how to make more money from the patients you already have using the four "R"s of practice profitability: Reactive, Recall, Remind, and Reviews. 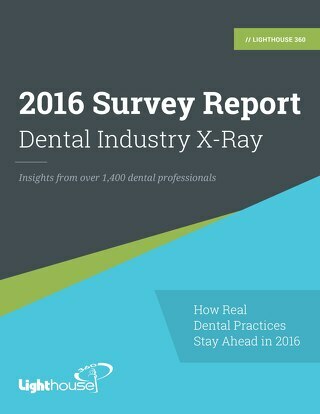 We polled thousands of successful dental practices to discover the industry insights and best opportunities to improve your practice. 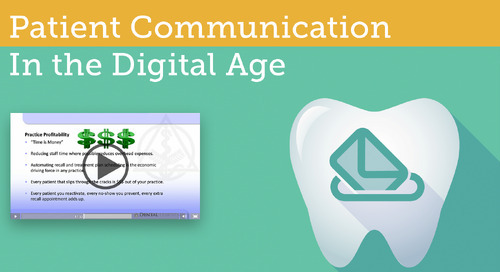 Are you familiar with the ins and outs of using digital communication to increase the profitability of your practice? This is a must watch for any practice that worries they might be 'out of touch'.